The Nigerian Army has promoted 136 senior officers to generals. Those promoted include 45 brigadier generals who were promoted to major generals. Also, 92 colonels were promoted to brigadier generals. 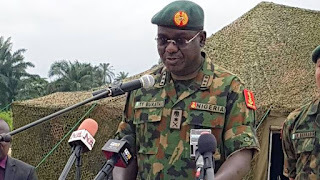 A statement from the army spokesperson, Sani Usman, confirmed the promotions.